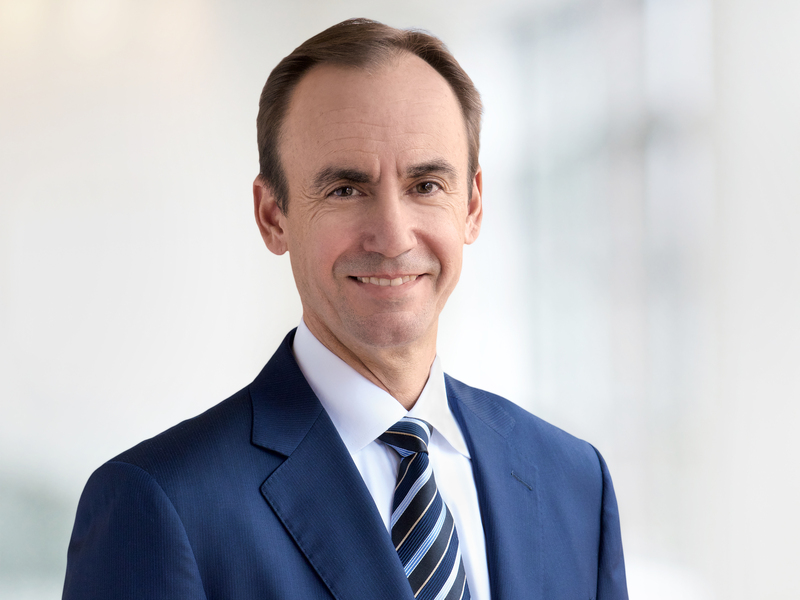 Brian S. Tyler, Ph.D. is Chairman of the Management Board (CEO) of McKesson Europe, where he focuses on operational excellence, collaboration and innovation to deliver growth across McKesson’s European businesses. Prior to his current role, Brian served as president, North American Pharmaceutical Distribution Services where he had overall leadership responsibility for McKesson’s pharmaceutical distribution and related businesses in North America including McKesson U.S. Pharmaceutical, McKesson Canada, McKesson Specialty Health and McKesson Pharmacy Systems & Automation. In this role, he worked closely with Celesio to maximize operational excellence and facilitate collaboration across McKesson’s respective pharmaceutical distribution businesses worldwide. Brian was previously executive vice president of Corporate Strategy and Business Development where he led the overall corporate strategy for McKesson. Brian helped guide strategy development with McKesson’s business unit leaders, in addition to fostering innovation and leading the mergers and acquisitions function across the company. A 20-year McKesson veteran, Brian was previously responsible for McKesson’s U.S. Pharmaceutical business where he oversaw the business unit’s operations and the distribution of pharmaceuticals and other healthcare related products to customers in four primary segments: national and regional retail pharmacy chains, retail independent pharmacies, hospital providers and mail pharmacy. He previously ran McKesson’s Medical-Surgical business, the nation’s largest alternate site distributor to physician offices, long term care facilities, surgery centers, direct to patient home care and occupational health and employers. Additionally, Brian served as president of McKesson Specialty Care Solutions with responsibility for Specialty Distribution, Specialty Pharmacy, Specialty Marketing Services, Specialty Logistics, and Prospective Health, Inc. Brian has also served as senior vice president of strategy and business development for McKesson Distribution Solutions. Prior to joining McKesson, Brian spent three years at Integral, Inc. as a Senior Associate, Health Care Consulting in Cambridge, MA. Brian earned his Ph.D. and MA from the University of Chicago, Department of Economics where he studied under a grant from the National Science Foundation. His specializations included Industrial Organization, Labor Economics, and Public Finance/Project Evaluation. Brian earned his B.A. in Economics with High Honors from University of California Santa Cruz. Brian works in Stuttgart, Germany and lives in London with his wife Kristen and their sons Dylan (6) and Jack (2).